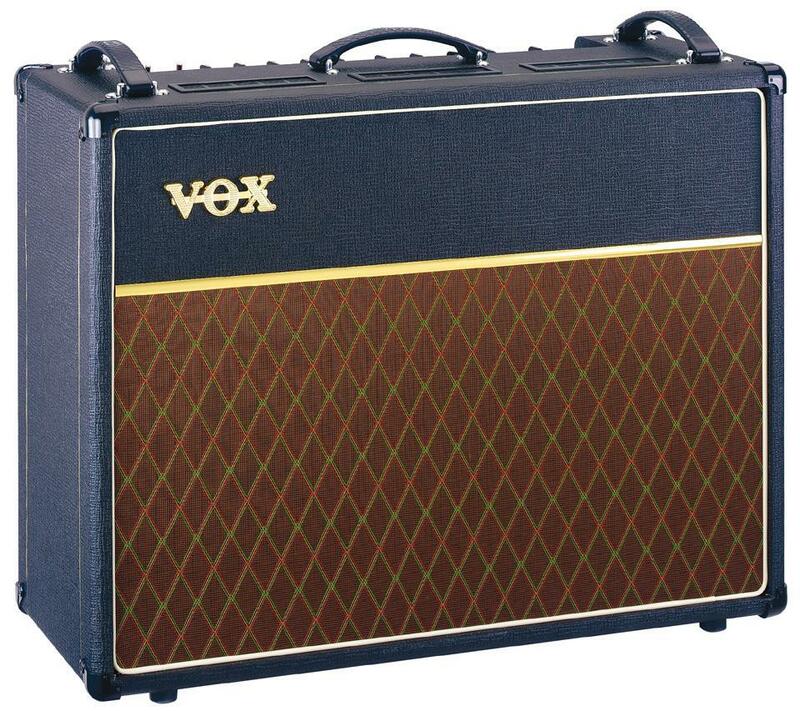 AC30CC2, Tube Combo Guitar Amp from Vox in the Custom Classic series. 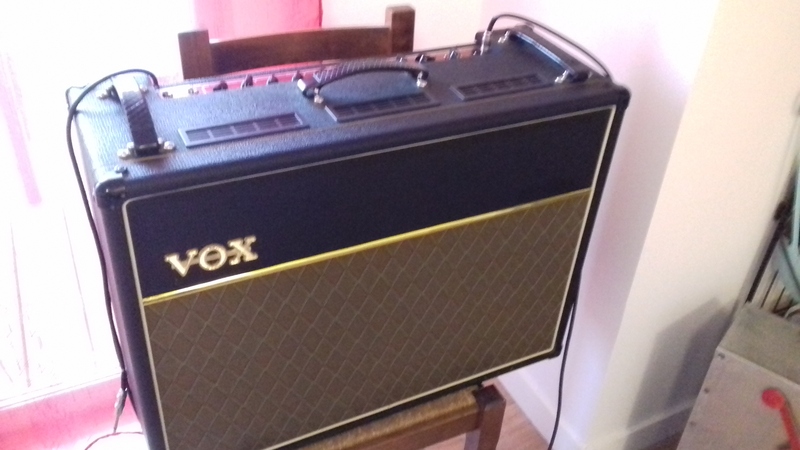 mooseherman's review"Interesting update on the AC30"
This amplifier is a recreation of Vox's celebrated AC30 amplifier, a legendary amp in some circles. There are also a few new features. There is 1/4" input as well as an effects loop, which is a new feature. It is a tube amp with 30 watts (hence the name). There are switches for output biasing and clip controls, which are really new features and can really help problematic amps find their sweet spots. There are two channels, normal and top boost, as well as the ability to blend the channels which is really something. There are also EQs, tremolo and reverb. The tremolo and reverb can be controlled by footswitch. Getting a good sound out of this amp is easy, however, if you want a truly phenomenal sound, replace the tubes, as they come from China now, and China makes cheap products almost exclusively. The one complaint I would make is the inability to switch channels with the footswitch. This limits the features of the amp, however, I tend to find the sound I like and stick with that and I mostly haven't had too many problems. The manual explains very clearly what each function does and how to use it, it's very useful. I like to use this amp with a wide variety of guitars, as they each have their own unique flavor combined with this amp. I think that the sounds that come out of this amp are phenomenal. Both channels have their flavors, but I think that the channel blending feature really gives this amp its best sound, as it combines the high end of the top boost channel with the warmth of the normal. When in this mode, tone is entirely up to the player, as one can go from a clean warm sound to an overdriven bark instantly. The dynamic response of this amp is extraordinary. I think better tubes and pots will help sound a lot, as the cheap chinese parts don't do it much justice, but this is still a fine sounding amp. I like the tone of this amp the best, as well as the dynamic response. The reverb isn't quite as good as the old ones, but it's still ok. I don't use tremolo much but I think that this amp has a great tremolo. 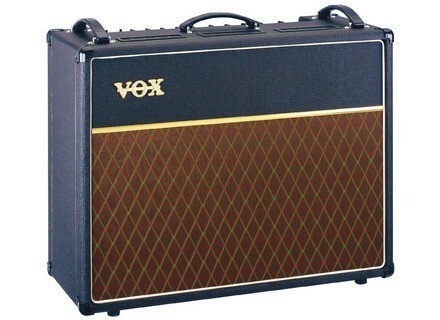 It's not too expensive and while it's not quite as stellar-sounding as the original AC30s, it's a fraction of the price, so it's possibly a better bargain. This is definitely worth checking out. luc68's review (This content has been automatically translated from French)" I finally got one!!" I play ROCK! well the vintage of the machine suits me perfectly. whatsoever with my "strat" ​​self made, a Lag RS500 Limited, or an old Epiphone Les Paul, there's plenty to be + as pleasure. Pure and punchy crunch well, depending on the volume of microphones and guitars, the sound palette is unimaginable. and without any effects, I'm a dinosaur, a guitar, a cable or a radio and amp, period. I for 3 days, I've been dreaming for a long time .... I had lots of amps guitar in 36 years, but it would take too long to list, but this one I needed. I bathed with Bertignac, the Stones, Led Zep and co, I am in 1963, and then I returned to sources.je have acquired under + than honest can a great guy to me exchanged against my Hot Rod Deluxe. it has two / three years but has only ten hours of play, not even run in the first rehearsal of the bougre.à my group, I got chills, not too loud, not too clean, and hop back to the 70's and 80's. even other musicos congratulated me on my purchase. I put 9/10 because of the weight, but it is not able to move for the rehearsal room is my home. for future concerts, well, I'd watch my back or I'd help a friend. 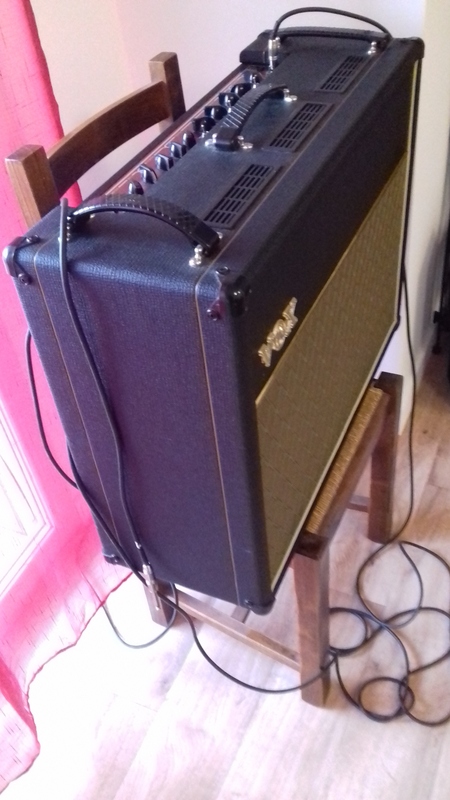 palko's review (This content has been automatically translated from French)" A very heavy amp, but!" its weight! Indeed, it is unfortunately important, but it is undoubtedly a phenomenon of size relative to the pitch it produces. 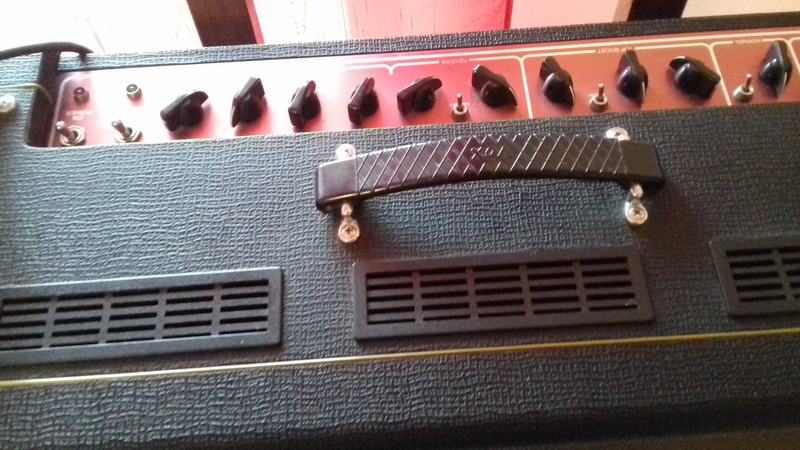 It's a very ironic choice of buying this amp, my back knows something, but there is fast and after comparing her weight is forgotten once installed. In any case there is no mystery, it's about physical and logical sound! 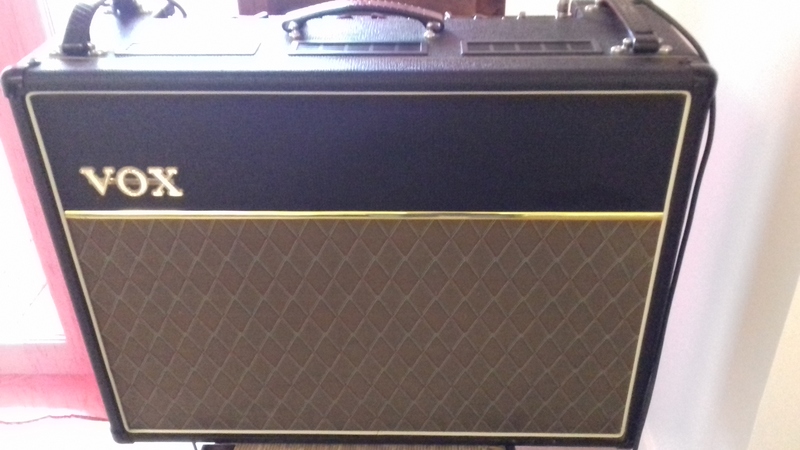 In this serious 2x12 combo amp delivers a magnitude close to a stack 4 x 12 configuration, and it is rare for a combo. I use (when the situation allows me) AC30 and two spaced apart by a distance, the result is amazing and much better than a stack. As the editor Finlay on this site, I recommend using this amp at a minimum of 12.00, otherwise it does not provide the full capacity. Specifically, if you play at low volume and you work or live sounds through pedals, you will never find the grain that you use the medium volume if you switch to a higher power. It is important to work sounds at the same power you use in a group.